MSH sub-contracted SoftWorks in 2015 to develop and implement a web-based Pharmaceutical Management Information Dashboard, for the Namibian Ministry of Health and Social Services (MoHSS). 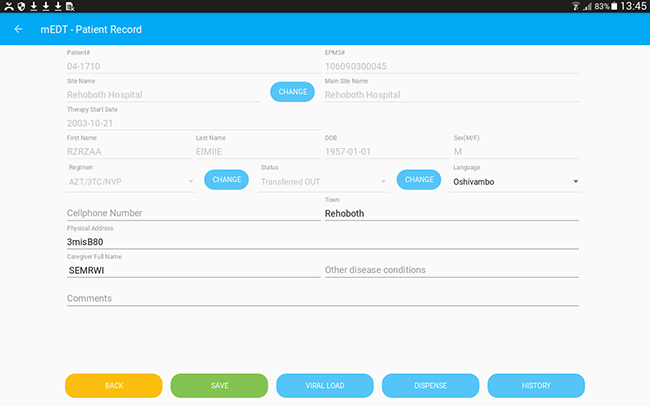 SoftWorks also developed Facility Electronic Stock Card (FESC) tool which is used in all major hospitals for stock management in Namibia. Mobile Electronic Dispensing Tool (mEDT) was running in clinics and outreaches of Namibia health system for dispensing to ART patients, with some difficulties. 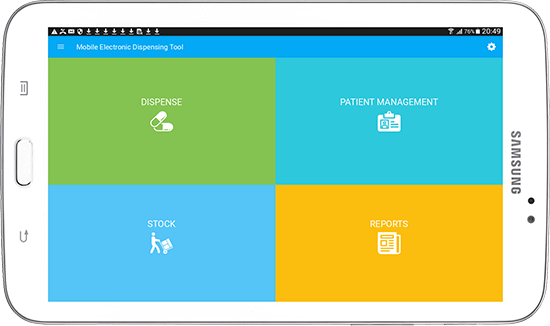 SIAPS reached out to SoftWorks again in Sept 2017 to redesign the mEDT tool to run on tablets and mobile phones to improve user experience. mEDT allows existing ART patient management, new patient registration, dispensing and stock management of the dispensary of ART clinics and outreaches of Namibia MoHSS. 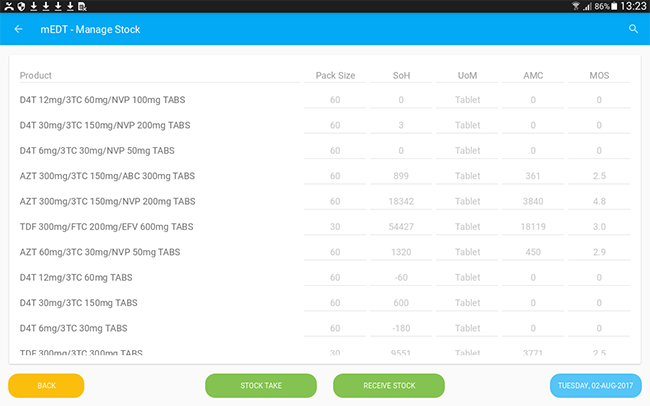 Stock management functions allows to update stock after ART products are received in dispensary and regular physical inventory at the end of month. Management of existing ART patients and updating their information in a single page. 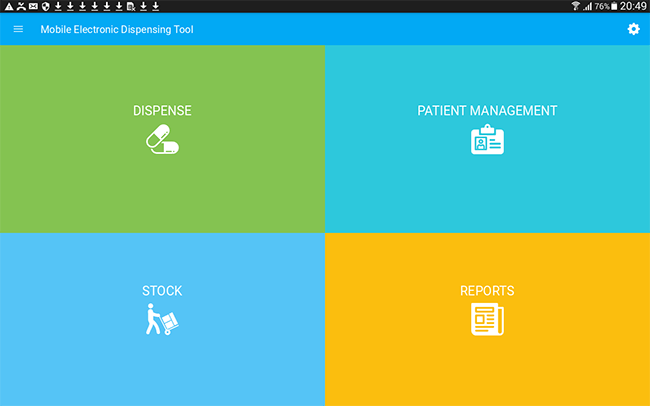 Patients can be transferred into the current site, regimen/status change, viral load information entry and dispensing can be done from one page. Monthly reports for Active & New ART patients are generated automatically. 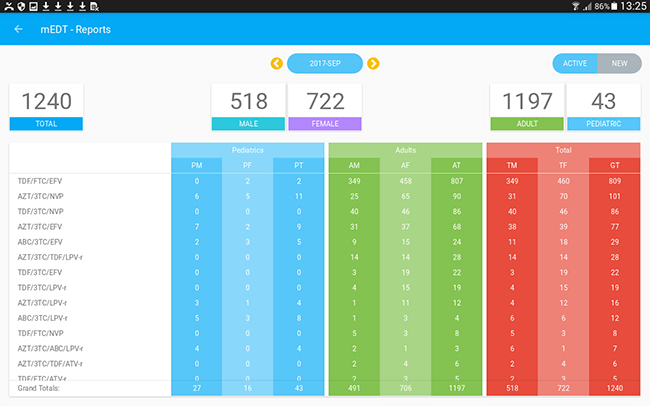 Patient numbers are available as summary and detailed by regimen.